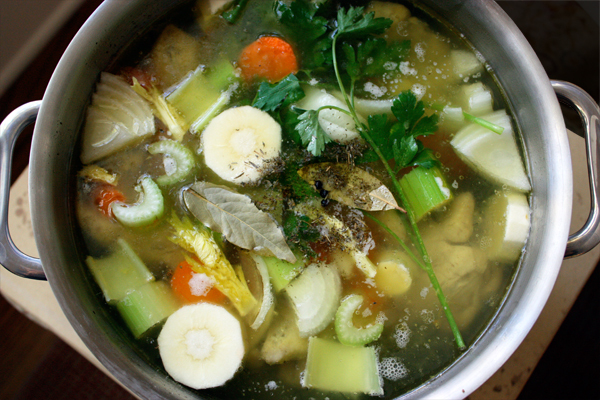 It doesn’t take much skill to make delicious homemade chicken soup… just a little patience. The best chicken soup starts with the best homemade stock so I am sharing my recipe for easy chicken soup and stock, which is all the same to me. And wait ’til you see how easy it is. There’s really not much to do. You just put everything into the biggest soup pot you have and cook it. The best flavor comes from chicken parts with a lot of bones, which is why I use backs & necks and wings. Ideally, I get a package of each since there is more meat on the wings. So forget making soup with chicken breasts – you won’t be happy. Aromatic vegetables are a must and those include onions, carrots, celery, and I like to add a parsnip too. You can put them in whole or chop them up. The main thing is time. I cook mine for three hours and it never fails. After three hours of cooking, there’s not much left of the vegetables so I always discard them. And I pick the meat off the bones and store that separately. So this recipe is technically a chicken stock and I always make it the night before because once it’s refrigerated, 100% of the fat will rise and solidify on the top for easy removal. It’s saturated fat and we don’t need that. In fact your soup will keep even longer in the fridge if you keep the fat layer on the top, kind of like an airtight lid. The next day, my stock is ready to use in all of my cooking and just perfect as a soup. Once the fat layer is discarded if I want chicken noodle soup, I chop some fresh carrots and cook them with the noodles in the stock. 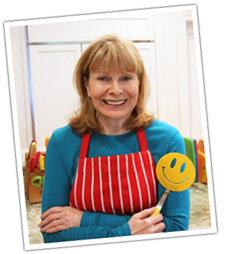 I also use the stock to make other soups like vegetable soup, bean soup, chili, and I also drink it as a healing broth. 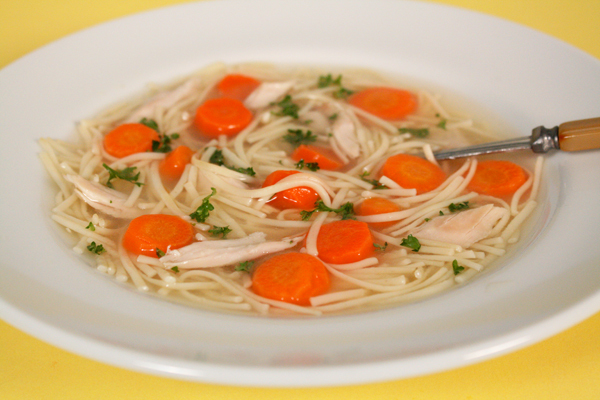 Chicken soup does have healing compounds if you have a cold or flu so this is the perfect time to try my healthy homemade chicken soup recipe. 5 Comments on "Homemade Chicken Soup"
Yum, my favorite soup. How long will the stock keep in the freezer? Or is freezing a bad idea? I make chicken stock and freeze it in ice cube trays, then into plastic bags and keep it for months, probably up to 6 months. Using a pressure cooker will be more nutritious and time saving. My favorite in chicken soup is egg noodles.